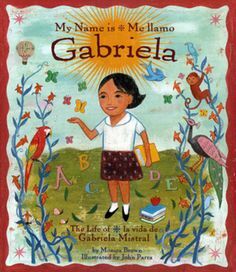 The story begins with Gabriela’s childhood and an explanation of her pen name. “It is a name I chose myself because I like the sound of it.” It goes on to describe her home and village located near the Andes Mountains in Chile, and different experiences that she had while growing up. 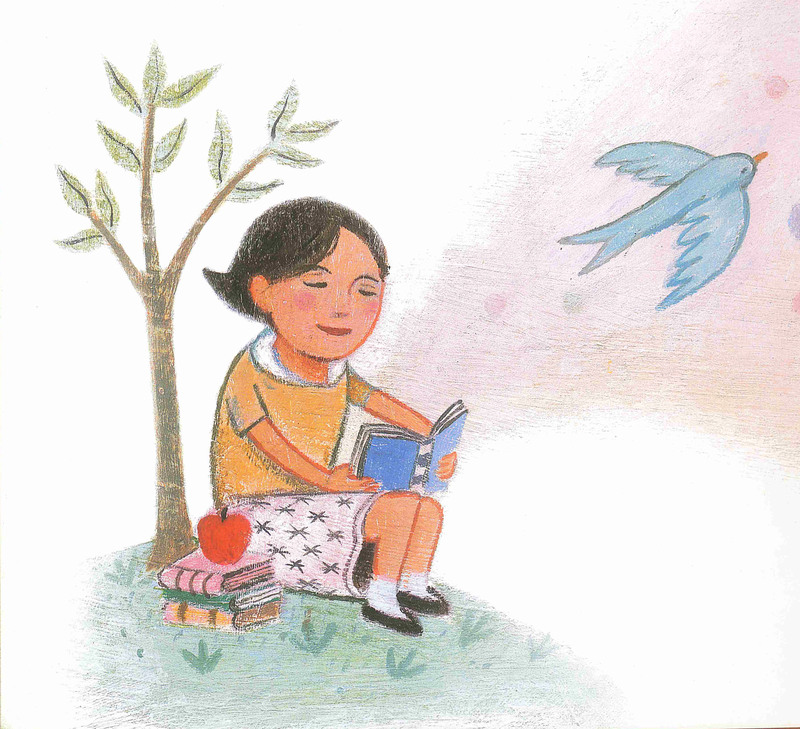 Gabriela taught herself to read so that she could read other peoples’ stories and also so that she could tell her own. As a little girl she would play school with other children and she always pretended to be the teacher. We learn that eventually Gabriela became a teacher and taught the children of Chile, many whom later became teachers themselves. The reader follows as she describes her travels to faraway places including Mexico and the United States, and how her stories always traveled with her. People liked her stories so much that she was given the Nobel Prize for Literature. 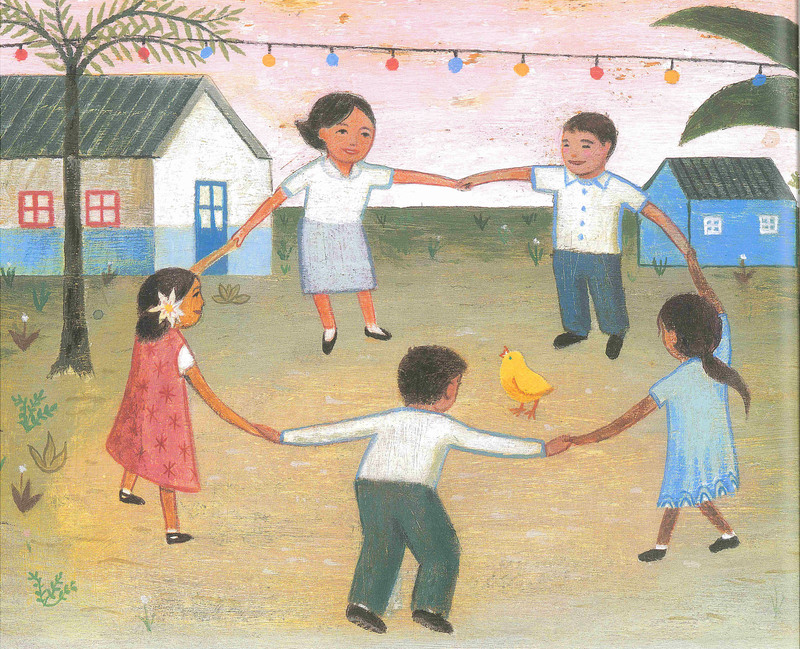 When she accepted the award, she thought: “of the beautiful mountains outside of my window in Chile, of my mother and sister, of the children of my village, and of all the stories that still need to be told.” What a beautiful and empowering sentiment to share with young readers – that we all have stories waiting to be shared. This book is particularly special because it works as a great interactive bilingual educational tool. As I read it with my five year old niece, she was very intent on following along and pointing out different objects, letters, and numbers that appear on the pages. The book also includes a segment of my favorite Spanish childhood nursery rhyme, “Los Pollitos Dicen Pio Pio.” My niece recognized it and sang along to it as I read – just as many students out there may do as well! Also included at the end of the book is a biographical summary and more highlights of Gabriela Mistral’s life. In celebration of the 70 year anniversary of her Nobel Prize , The Gabriela Mistral Foundation will hold a series of celebratory programs throughout the spring of 2015. Bibliographical information and some of Mistral’s poetry from The Poetry Foundation. Here is a guide for teachers that includes various activities that directly accompany the book. 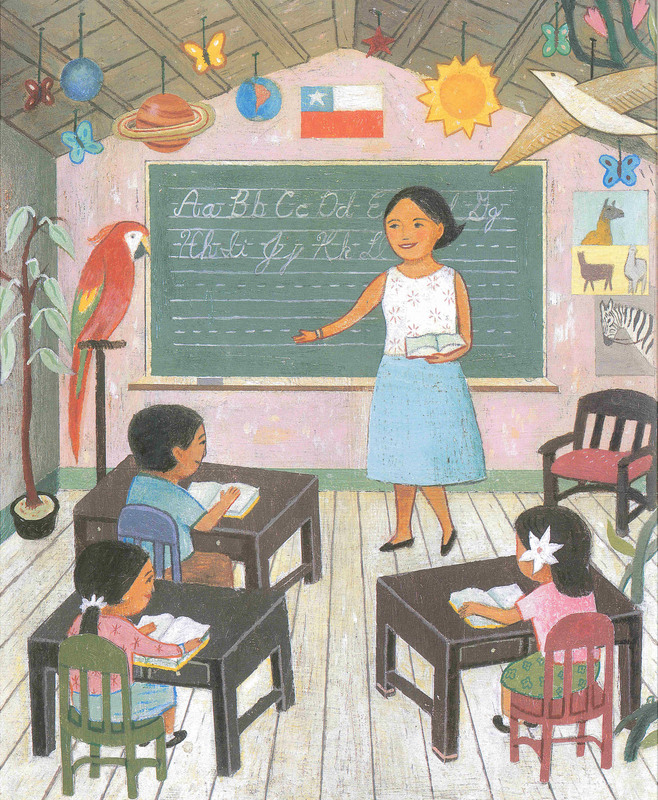 What a great Latina figure to incorporate into the classroom! Stay tuned for next week as I highlight another remarkable Latina with my review of Yuyi Morales’ latest award-winning book, Viva Frida! Images: Modified from My Name is Gabriela/Me llamo Gabriela. Illustrator: John Parra.